Blissful Wellness | Freedom is yours! 03 Jul Freedom is yours! Happy Independence day. 241 years ago, the founders of our nation declared independence from the British Crown. At that time, Americans lived under the tyranny of a far away force. Independence was a rough road, but it lead to the greatest country on the earth. People struggling with weight live under tyranny as well. The feeling of not being attractive, not looking in the mirror, and the feelings of not quite being good enough. And just like the founding fathers believed that the best solutions were left to the individuals, at blissful wellness, we are finding great success with individual genetically guided treatment for weight loss. No longer do we have to guess or use machines that creates a one size fits all solution. 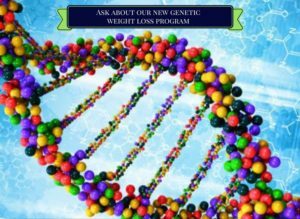 For the first time in the JACKSONVILLE MARKET, your weight loss is tailored to YOUR specific genetics. No other practice offers this breakthrough technology, because only we are qualified to administer and interpret the genetic components of weight loss. So if you are yearning for freedom from your unwanted pounds and desire to lose weight, now is the time to call us at Blissful Wellness. Offering genetic testing with our new Platinum plan and our great weekly specials, now is the time to make the commitment – to freedom. Be who you were meant to be and enjoy the freedom of your new body free of unwanted fat and weight. Only at Blissful Wellness can we make this reality come true based entirely on your unique needs. Curious? Schedule your free consultation here. Happy Fourth of July from your family at Blissful Wellness!